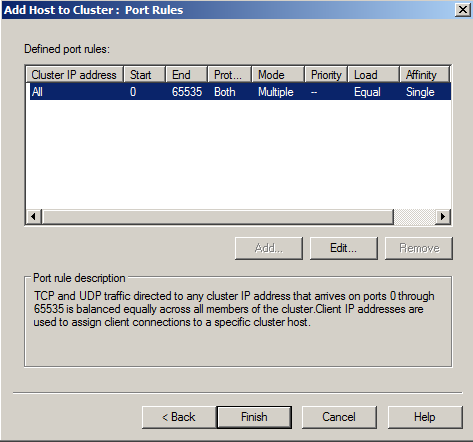 Reflections on Getting Windows Network Load Balancing To Work (Part 2) Posted on July 23, 2010 by workinghardinit This is part 2 in series on Windows Network Load Balancing.... In Chapter 3, you built a load-balanced cluster with Windows Server 2003. The next steps you take build from that previous installation and configuration. I repeat a few of the main concepts from Chapter 3 but, if you haven't read Chapter 3, I suggest you do so before continuing. Let's begin. 2/02/2010�� In addition, the servers do not seem to load balance correctly. For instance citirx2 would have 30 sessions, citrix3 70 sessions, citrix4 25 sessions. There is very minimal variations as to published applications on these servers. Only couple of applications are published on one server and the others, and these only get used by one person. Reflections on Getting Windows Network Load Balancing To Work (Part 2) Posted on July 23, 2010 by workinghardinit This is part 2 in series on Windows Network Load Balancing. Hello everyone! We have two SAP nodes running on a Windows Server 2003 cluster. If both nodes are online load balancing is working as it should.